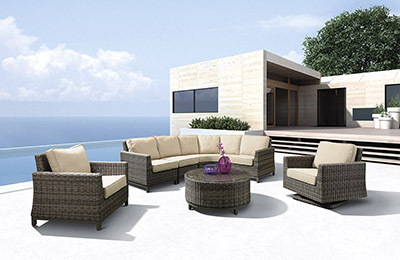 Product categories of Outdoor Sofa Furniture, we are specialized manufacturers from China, Rattan Outdoor Furniture, Outdoor Furniture suppliers/factory, wholesale high-quality products of Outdoor Patio Furniture R & D and manufacturing, we have the perfect after-sales service and technical support. Look forward to your cooperation! Outdoor sofa furniture is suit for outdoor garden usage for long time. The material is UV resistant PE rattan and 1.2mm thickness aluminum frame with powder-coated. 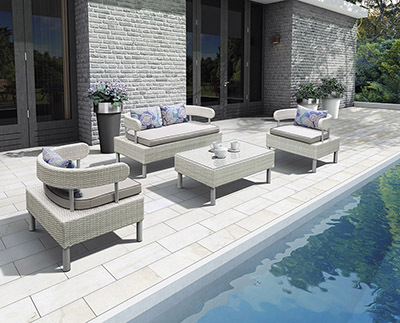 Outstanding comfort and structural integrity make our Outdoor Sofa Furniture Collection a welcome addition outdoors. 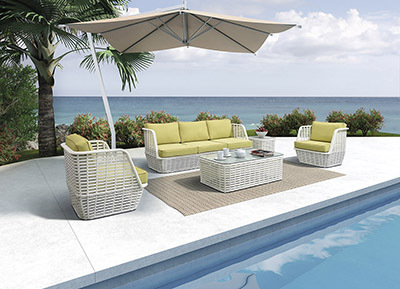 Rattan fibers are smoothly double woven around concealed powder-coated aluminum frames. Gently angled backs and wide arms encourage restful lounging. The industry`s best high-performing fabrics encase the thick, double-wrapped foam cushions. 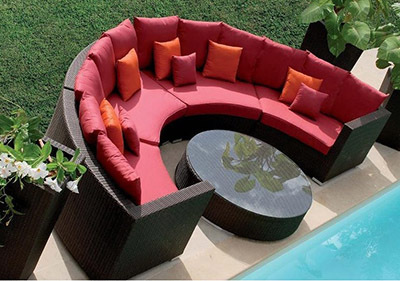 Outdoor sofa Furniture contain sectional sofa, deep seating sofa, round or semi-round sofa furniture, and garden set.